Have you ever walked on the other side of the Arno? It shows a whole new face of Florence. This wonderful neighborhood deserves to be discovered: it is the heart of Florence past and present, and one of the city’s best-kept secrets. 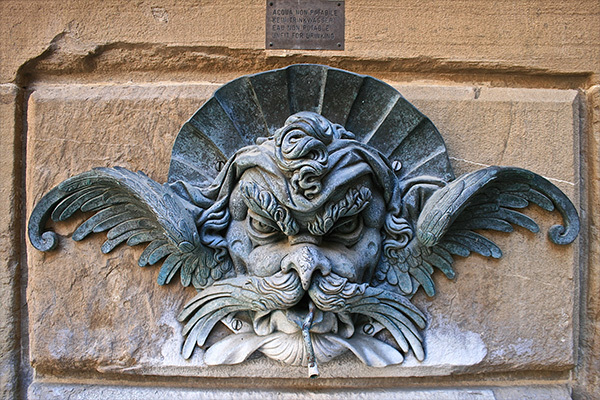 It’s the most characteristic side of the city where you can find the true Florentines, away from the touristy sites. Its rich historical and artistic heritage is reflected in palaces, museums and churches, as well as in artisanal workshops carrying on century-old traditions. 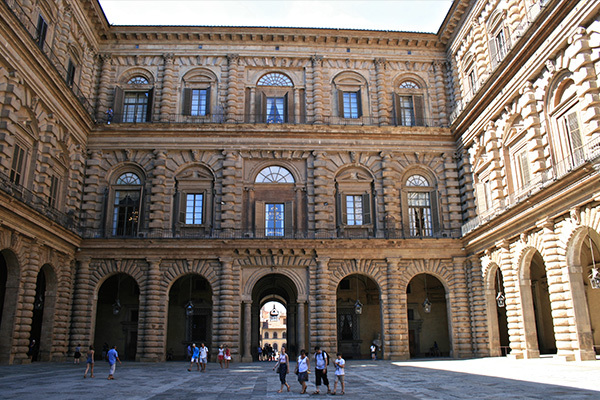 But most important, the Oltrarno is home to one of Florence’s finest palaces – the Palazzo Pitti surrounded by beautiful gardens. 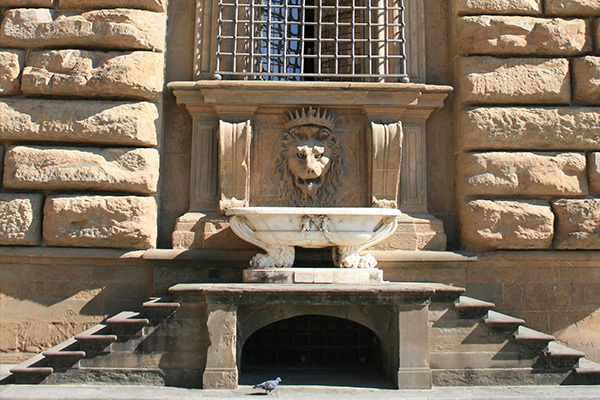 This imposing palace was commissioned by Luca Pitti in 1448 according to plans by Brunelleschi. 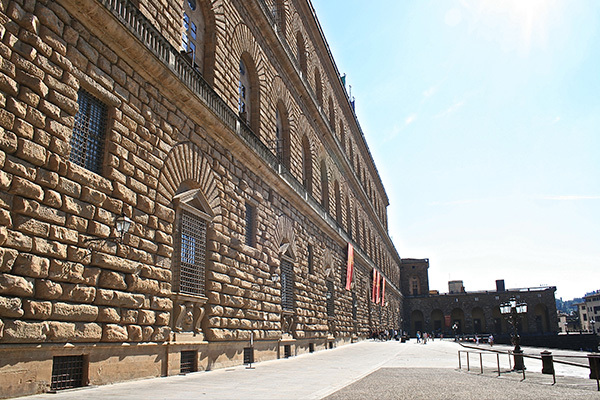 What you see today is a much larger structure planned after ownership passed to the Medici family in 1549. The largest private palace in town, it’s the result of 400 years of construction. 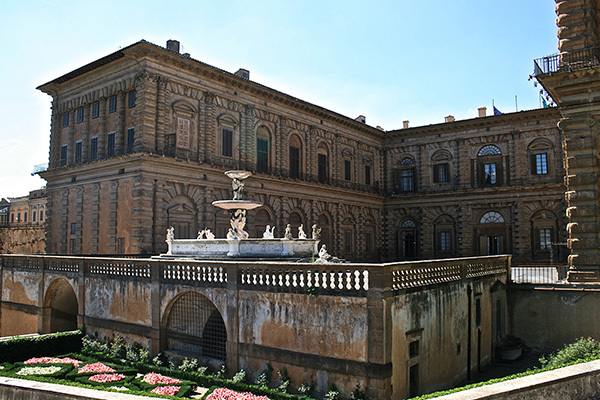 During the time of Italy’s monarchy, the palace served as a royal residence. 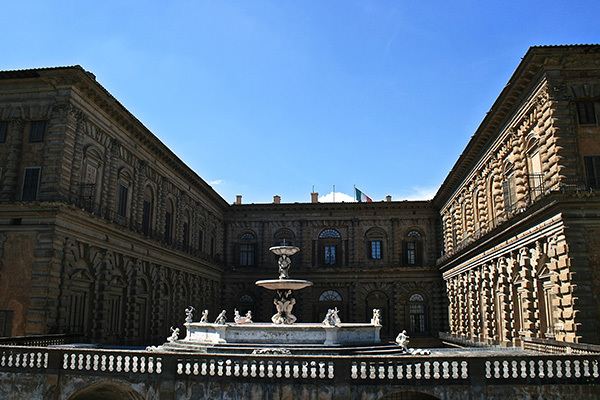 Today, Palazzo Pitti houses a splendid gallery and several museums. You can see here the only remaining portion of the ancient city walls that still stand today. 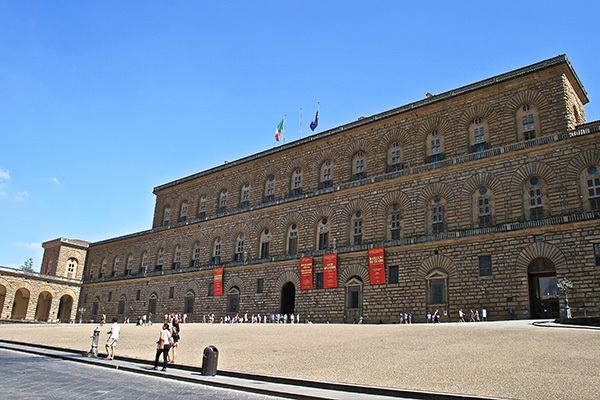 The Pitti palace offers you 6 different museums and galleries inside the palace: Palatine Gallery (including works by Raphael, Rubens, Titian, Veronese and Tintoretto), Gallery of Modern Art, Silver Museum, Carriages Museum, Costume Gallery, Porcelain Museum. You can choose during the tour which gallery you wish to visit. 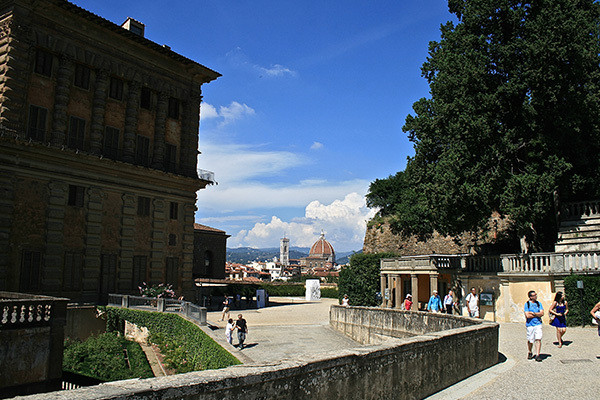 Right behind the Pitti palace extend the famous Boboli gardens, a beautiful open-air museum, composed of many different types of plants and trees. This garden was designed in the classical Italian style , and for long it was famous for its hunting reserve and its secret caves. A green heart for the town of Florence extending over 42,000 square meters, it is open to visitors who want to enjoy a particularly beautiful view of the city. For guests who have previously visited central Florence and its attractions, this outing offers a less known, but equally important and fascinating Florence experience. It shows you the sites of Oltrarno, the Old Florence located on the other side of the Arno river.